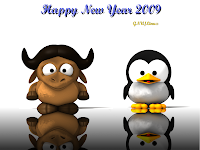 Wish all the readers a Happy and Prosperous New Year 2009..
the GNU General Public License as published by the Free Software Foundation; either version 2 of the License, or (at your option) any later version. nice work. keep it up..